In this video, JD is finishing up the welding a fabrication of the Aluminum Awning Project. You will see...Cutting and welding a doubler on the PlasmaCam, cutting letters for signage, adding lots of flat bar to allow the awning to be anchor bolted to the brick structure, and then transporting the awning to the job site and installing it using a spool gun powered by a Lincoln Ranger 250gxt. Why use a Spool Gun instead of TIG for aluminum welding? For inside the shop, Tig worked great. So we used it for all the welds that would be readily visible. TIG usually looks better, but using a spool gun is usually faster and for field work seemed to be a better idea. For the flat bar sections inside the shop, as well as the field welds, we used to spool gun. Setting the argon flow rate to around 25cfh seemed to provide enough gas shielding but there was still quite a bit of soot. The nozzle that comes on the powermig 210 spool gun is kind of small so I dont usually set mine much higher than 25-30 cfh. 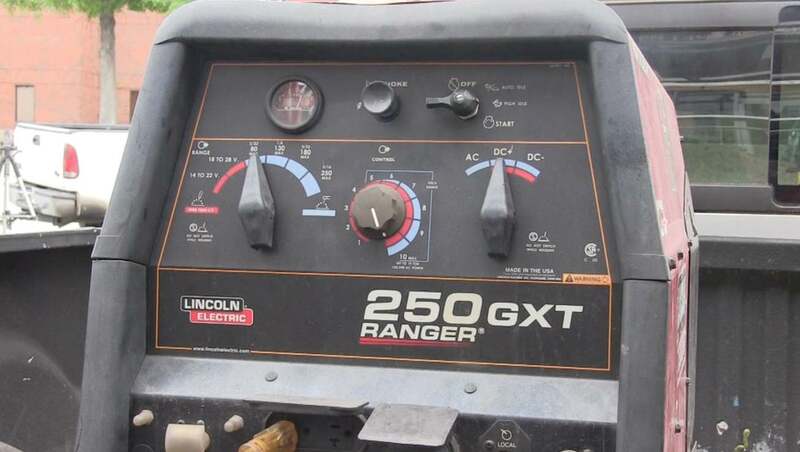 The Lincoln 210mp runs well off a generator and is pretty simple to set up. JD uses the Ranger portable welder a lot to power the 210mp for tig root passes in pipe, stick, and for dual shield flux core welding in the field. This engine drive seems to provide plenty of 230v power for the 210mp as well as auxiliary power for tools. He also uses the Ranger to power an Active8 wire feeder suitcase welder for flux core. The plasmaCam really came in handy on the project. 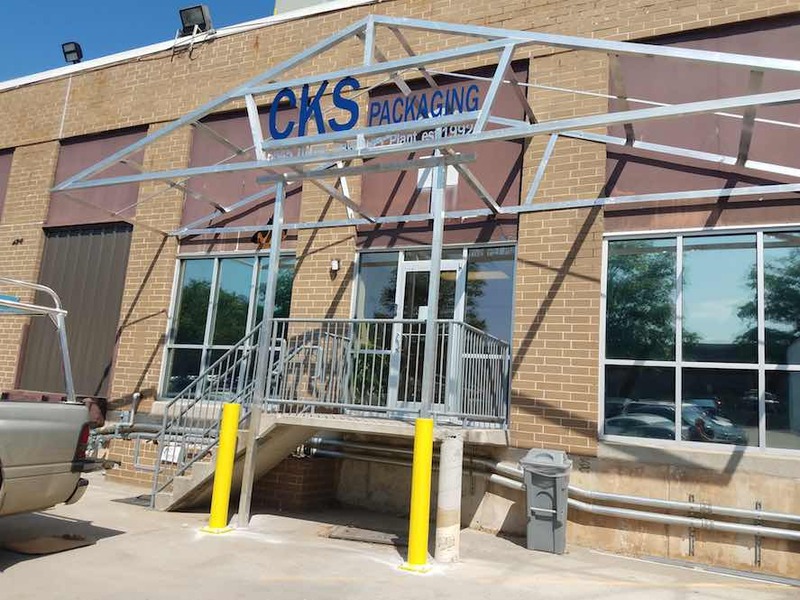 JD was able to design and cut some cool letters that add a bit of style to the Awning structure. The large letters were made with clips welded on so that no welding would be required after they got powder coated. Once the flat bar section was drilled and anchor bolted to the building, the whole awning was very stiff and sturdy. I would like to thank JD Brewer , owner of Apex Welding services for letting me be a part of this Aluminum Awning Project.